I’m so glad you’re here. This 5-Minute Anxiety Cure is one of those things you can fall back on whenever life has you feeling buzzed in a bad way. 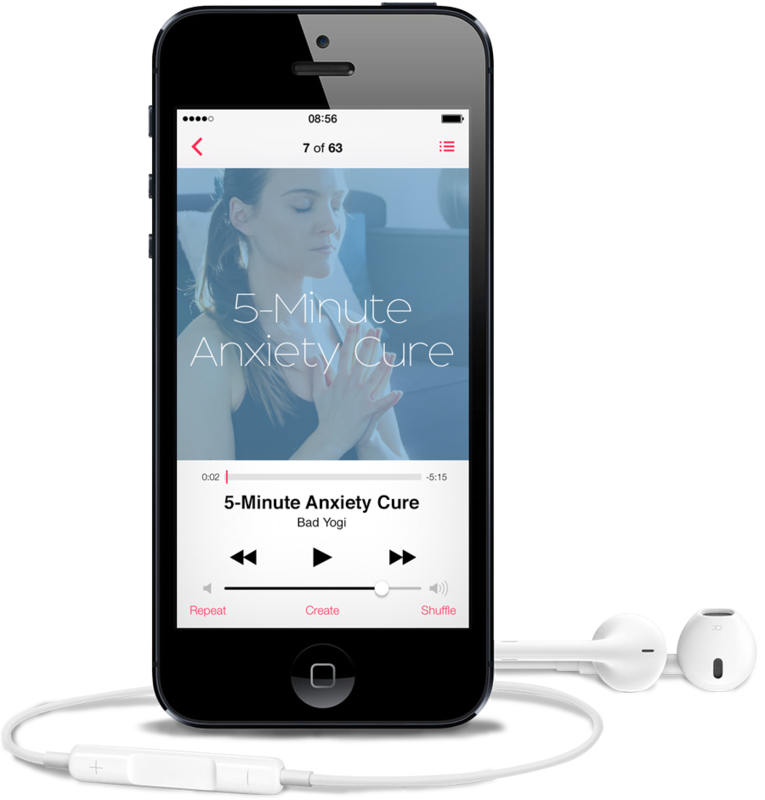 Anxiety makes us feel jittery and uneasy, and this meditation is just the cure you need. It’s centering, calming, and brings you back into harmony with your breath and body. And since it’s an audio download, you can bring it anywhere— work, school, your commute, on vacation— you name it. If you use your time wisely, sometimes 5 minutes is all you need to feel a little better 🙂 Enjoy!